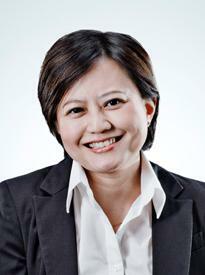 Elaine is a Partner with 20 years’ experience in the Commercial Litigation Practice / Insurance and Reinsurance Practice. Elaine is highly regarded as one of the top lawyers in Singapore in the commercial litigation practice with special emphasis on insurance and construction law. Well known in the field of insurance law, Elaine has represented and acted as coverage counsel and defence counsel for insurers in and/or from Singapore, Australia, Japan, Korea, France, Switzerland, Germany, United States of America and Bermuda. In the first case of its kind in Singapore, in 2011, Elaine successfully represented a Korean insurer in its claim under an open cover reinsurance programme before the High Court in Singapore (Hanwha Non-Life Insurance Co Ltd v Alba Pte Ltd  SGHC 271). Elaine is also sought after by clients (insurers, insureds and brokers) for her advice on various classes of insurance, including property and energy, casualty, liability, financial lines, credit and surety, life and personal lines; and compliance and regulatory issues including obtaining the requisite licences, transfers of insurance business and advising on policy wording for various classes. Elaine has advised and represented property developers in the construction industry, local and international contractors, EPC contractors, professional consultants relating to projects in Singapore, Vietnam, Indonesia, China which include power plant projects and mining projects. A firm believer in giving back to the community, Elaine is the CSR partner of Rajah & Tann and volunteers by giving free legal advice at various legal clinics in Singapore. Acted for AXA in the consolidation of its life and general insurance business via a transfer of AXA Insurance Singapore Pte Ltd’s general insurance business to AXA Life Insurance Singapore Pte Ltd. Advised and represented an Australian Integrated Engineering and Services Contractor in its claims against an Oil, Gas and Electricity major in respect of geothermal plant in Asia where the total amount in dispute was in the region of US$60 million. Advising and representing the same contractor in claims against its design engineer consultant in an ICC arbitration. Advised and represented an Australian integrated engineering and services contracts in its claims in the region of US$25 million against an Oil & Gas, Mining and Energy SEA company relating to coal mining works in Asia. Advised and represented the owners of a US$68 million joint-venture hotel and service apartment project in Ho Chi Minh City, Vietnam in defending and counterclaiming against the main contractor in an arbitration. Represented a government linked company in a EUR 50 million ICC arbitration relating to the acquisition of a Danish company.